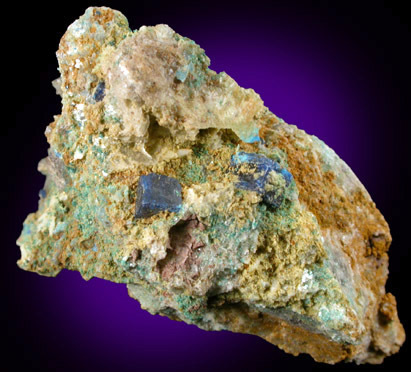 Description: Two dark blue boleite crystals on greenish-tan-colored matrix. 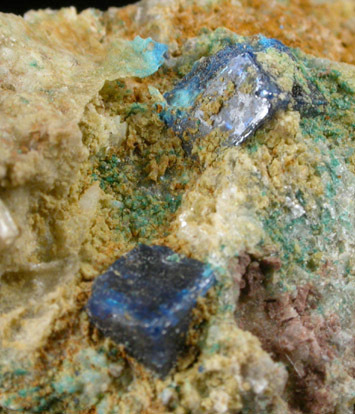 The boleite crystals are cubic form and have lustrous crystal faces. 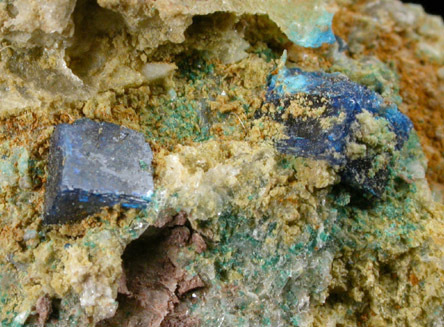 Matrix specimens are rare.